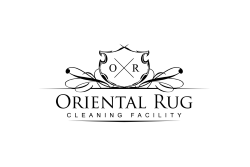 Here at the Oriental Rug Cleaning Facility, we are staffed with professional area rug enthusiasts! Our crew consists of an office staff, in facility area rug service professionals and our on the road pickup and delivery technicians. 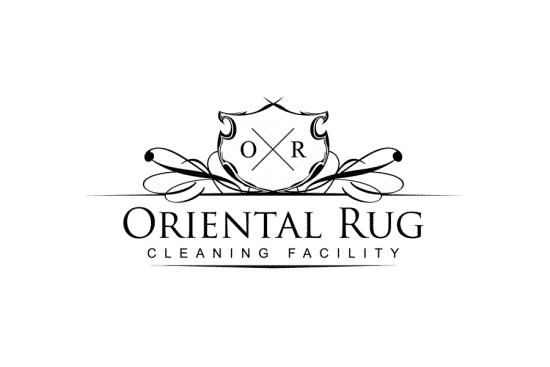 Each of these individual members of our area rug washing facility are all educated and trained in all facets of the area rug service process. While all of our team members have a wide array of knowledge encompassing all aspects of our service processes, each individual is specially trained to excel in their particular position of our team. When you reach out to our area rug washing facility, your first point of contact will be a member of our office staff. Regardless of which team member you are speaking with, you will be interacting with an area rug professional who can help to explain our process as well as answer any questions you may have pertaining to your area rug washing service. Whether or not we have cleaned area rugs for you previously, or you are a brand new customer, you can always feel free to call to set a service appointment, or simply to ask some questions. Our process involves pickup and delivery, a thorough pre cleaning and post cleaning inspection, a complete rug dusting, a full immersion washing and a safe, effective drying of our area rug. When any of the rugs we service have pet urine issues (which is quite often), we also have a highly effective urine extraction method that is carried out prior to beginning the actual immersion washing process. The urine extraction process virtually eliminates all urine associated odors that reside within the area rug. It is so effective in removing all urine related odors, that we actually guarantee complete odor removal. 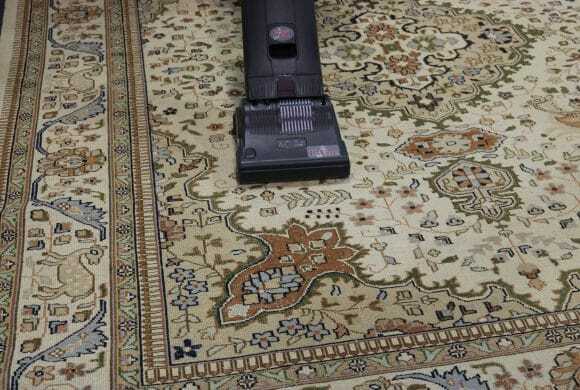 When performing area rug washing services, guarantees other than that of technicians doing their absolute best for you can not be given, as each circumstance is individual in nature and different from the rest that came before and will come after. If someone offers you a complete stain removal guarantee, it is simply a tactic to garner your business. The final results for any spot or stain treatment can be predicted, but never fully known until the rug as been serviced. 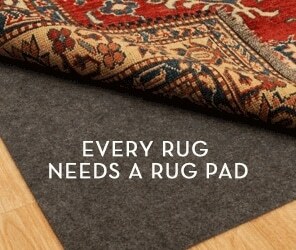 Any honest rug technician or facility will tell you exactly that. I discuss the standardness involving guarantees solely to put into context the levity of our confidence in issuing a complete urine odor removal guarantee. It’s kind of a big deal! This urine removal process involves a particular bath type of treatment in which special solutions are used that can break down the bacterial and crystallized salts that dried up urine will leave behind, so that they can be easily removed. There is a pump driven flushing system used during the urine removal process which helps to ensure that every inch of the area rug is benefitting from the treatment. Not only does it completely remove all aspects of the odor causing agents left behind by bacteria, it also prevents them from reabsorbing into any other portion of the area rug. This process typically takes about half a day to complete. Once the urine extraction process has been completed, the rug then goes to the wash floor where the actual immersion washing takes place. We have plenty of information about our pet urine extraction process on our website. While we just discussed our urine extraction process and how it is so incredibly effective, we believe that the most important parts or our entire process are the pre and post cleaning inspections. The in depth pre cleaning inspection that is carried out in our rug facility is the most important part of the process as it is the stepping stone for creating an individual treatment plan for each rug we service. 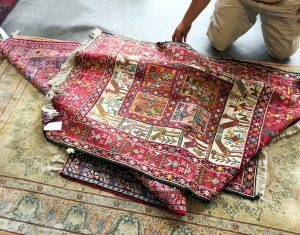 This pre cleaning inspection will help us to identify things like what materials the rug is made of, how it was crafted and even where its country of origin is. Many times we can tell where a rug is from based on designs, colors and crafting methods. The pre cleaning inspection will also give us the opportunity to inspect and test for pre existing issues or issues that could arise during the cleaning process. One of the best tests that we perform is when we test for the possibility of dye transfer and or dye migration (color bleeding). This is fantastic, as it can help to prevent possible complete disaster. When cleaning an area rug (especially for the first time), the rug will be thoroughly flushed throughout. If there are added dyes or unstable dyes, they can be flushed right out of the dyes. The dyes will then either leave the rug completely, leaving colorless spots, they will bleed out into the surrounding fibers, or they can leave the fibers and reattach to some fibers located on another portion of the rug. Our initial tests help to show if any of these are a possibility. If so, then we know that there are some extra steps we need to take to ensure that there are no dye transfer or dye migration issues during the service. We actually have solutions and methods that when applied properly, can prevent the dyes from even leaving their original fibers. In the case of some unsavory post weave added dyes that can cause heavy due issues, we might even advise skipping the rug washing process all together. Instead, going with a proper dusting, vacuuming and very light fluid spot treatments. We put the quality of our service, as well as customer satisfaction right at the top of our list. We also like to do what we can to educate our customers on all topics regarding the life of your area rugs. We mentioned some basic maintenance recommendations earlier in this post, which we hope will help to teach the importance of having proper maintenance performed regularly. We also spoke about rug dye and the issues that can come along with it. Proper treatment of a rug can keep your rug looking and feeling good form many, many years. 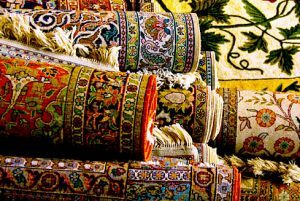 One of the things that can help to extend the life of your rug, along with adding extra comfort, safety and protection is proper rug padding. Rug padding should be placed under each rug in your home. 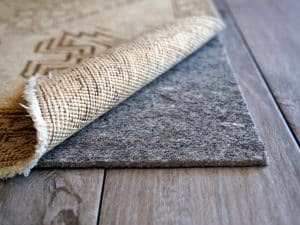 No matter if the rug is on concrete, tile, wood, laminate, vinyl or even carpet, proper high quality rug padding can make quite the positive impact. Proper rug padding can help to protect your floors. As mentioned above, there are not limits to what type of flooring under your rug would warrant a proper rug pad. The rug dyes that we previously spoke about can not only transfer from the fibers they are attached to during the cleaning process, certain types of dyes can actually bleed out on their own over time. As they slowly seep out, gravity will pull the dyes down towards the flooring under your pad. That is why we said that you should even put a pad between your area rug and a carpeted floor. Proper rug pad can also help to prevent a spill from seeping through your area rug and into the floor beneath. This helps to prevent possible permanent staining on your floor. Area rug padding can help to prevent slip and falls as well. There are some rugs that can be laid out without padding and might not slip too easily on their own. Typically the only rugs that will not slip when laid out on a hard surface floor would be high pile, large, heavy Oriental rugs or synthetic rugs that already have a backing that is meant to take place of a pad. For the most part, rugs will slip, slide and bunch up. Padding with a rubber foundation will help to prevent the potentially dangerous hazard of slipping or bunching area rugs. Good padding can also add extra comfort in the way of cushioning. Most area rugs have lower, tighter piles. This creates a thin surface that does not provide much cushioning or comfort. Many times area rugs are laid out in popular areas where much time is spent. Often used areas within a home are typically exposed to a lot of foot traffic. The padding under the rug can add a bit of comfort to your steps and can also absorb some of the impact, taking some of that slow wear and tear away from the rug itself. You may even want to lounge about on top of your rug. If the rug is on top of a hard surface floor, then padding will be a necessity. When purchasing rug pad, there are a few general options. The most common types of area rug padding are Felt padding, Non-slip padding and a combination Felt-Rubber padding. There are pros and cons to each different type of padding. The felt padding provides a nice and thick layer of comfort and cushioning. While it makes every rug feel better, it provides no slip or bunch protection. Another option is rubber non slip padding. This type of padding provides anti-slip assistance, but no cushioning. This padding also is typically coated with a substance that can actually stick to your rug and flooring, which will cause permanent damage. The most preferred area rug padding is the felt-rubber combo padding. This padding combines the best of both worlds. While providing the important slip and bunch resistant, it also provides the cushioning needed to extend the life of the pad while providing extra comfort. The combo padding is the only type of padding we sell and it is highly recommended no matter where you get it from. We hope this information is helpful and we encourage you to reach out to us with any questions you may have! Why Use A Professional?Variety of Knowledge.